An art called...: "How I met Nu Disco" Party! 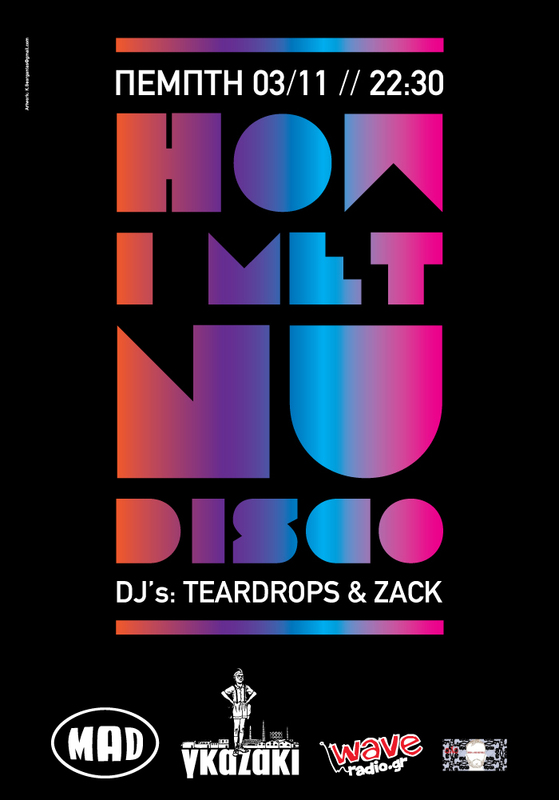 "How I met Nu Disco" Party! Πέμπτη 3 Νοεμβρίου στο Γκαζάκι ( που ΘΑ ΕΡΘΕΙΣ ) οι Τeardrops παρέα με τον Zack θα μιξάρουν το πιό φρέσκα disco classics / disco edits με μια πινελιά απο house. Σε μπέρδεψα? "2 girls that met at a party!" is their motto and everyone is surprised to find out that they only know each other a few months but a secret bond tied them from the very first moment.